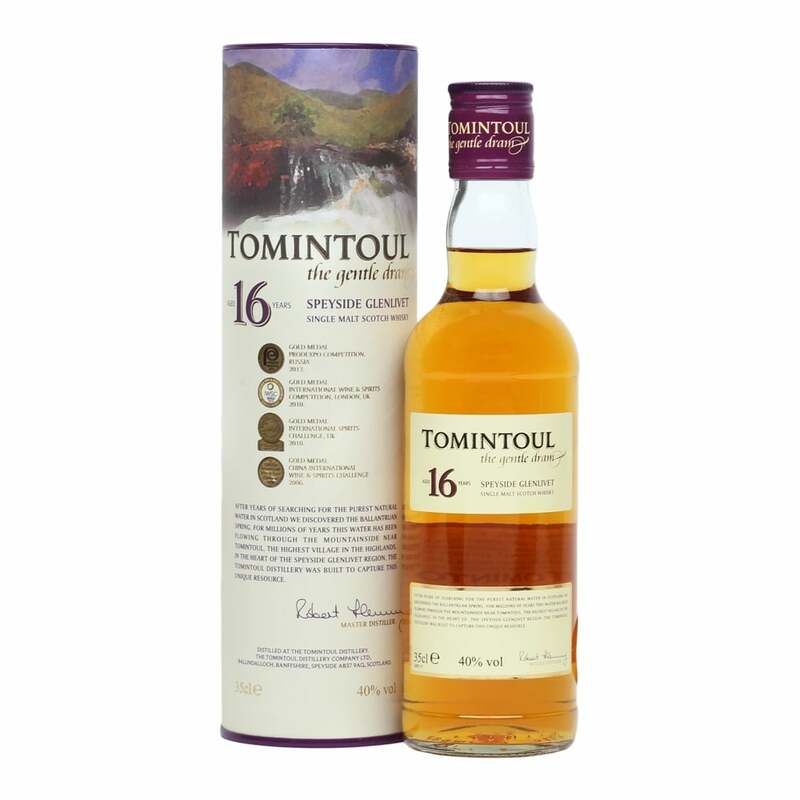 Long known as 'the gentle dram' Tomintoul 16 Year Old is soft and nutty, with a pleasant richness. A half bottle of the much loved 16 Year Old, experience this before making the all important upgrade! Nose: Medium-bodied and punchy. There are also notes of stemmy cut hay and dried grasses, with a leafy note to it and a touch of rooty earth and finally delicious fudge. Palate: Notes of boiled sweets and a kick with espresso and mochaccino. Ground almonds and granary toast with melted butter before finally vanilla fudge and thick cream. Finish: The finish is of a good length with notes of almond and barley sugar.